If you’ve ever wanted to learn more about how to use herbs and natural remedies, how to build your own natural medicine cabinet using plants that you can either grow at home or get fairly easily, and when to use home remedies and when to turn to modern medicine, you’re in the right place! I am thrilled to have Marjory Wildcraft from The Grow Network here to talk about all of these things and to share her knowledge and wisdom with us about herbal and natural medicine. Now, before we dive in, I need to make it really clear that neither of us are professional medical personnel. We aren’t certified herbalists, we don’t have degrees in natural medicine and this shouldn’t be taken as advice or as a treatment plan for you. It’s for educational and entertainment purposes only and we are merely sharing what we have found works and what we do in our own families. As always, you should always use your own best judgment and consult your doctor or health care provider before using natural remedies. Alright, now that we’ve got the disclaimer out of the way, I want to welcome Marjory to today’s show! Listen in below to Episode #168 How to Use Herbs & Natural Remedies at Home, of the Pioneering Today Podcast, where we don’t just inspire you, but give you the clear steps to create the homegrown garden, pantry, kitchen and life you want for your family and homestead. And then you start finding out about the food system and the pharmaceutical industry and you’re like “whoa. Wait a minute.” And in many cases this triggers you to want to do something different and start learning more about alternatives. So that’s what I started doing. I just started learning how to treat all kinds of common stuff. And the really cool thing is that it’s actually really easy and really simple. You’ve just got to learn it. Why learn about natural medicine? I don’t think people realize how fragile the healthcare system is. There is no capacity in the hospitals. They’re running as efficiently as they can, but if there’s any sort of outbreak of anything, the parking lot of the hospitals is going to turn into a tent city with people trying to get whatever they can for resources from there. Having your own medicine at home means you hopefully won’t have to deal with any of that if and when the time comes. Have you read the list of ingredients in some cough syrups? It’s like one of the most toxic chemical cocktails on the planet! I think it should be illegal. There’s a much deeper reason than simply being able to treat these things and care for yourself and your loved ones at home. There is also a bond and a joy that comes from being the one to care for and nurse your children back to health. For example, my daughter Kimber had a fever. She’s 11 years old and it was spiking up. She came to me and I was in bed with her, holding her. I had the blankets on her. I was using a cold, damp rag on her forehead to soothe her. And in this moment there was a bond and there was a joy. That’s what I wanted when I signed up for motherhood: I wanted to take care of my family. I think that’s part of what makes a family. That’s part of the glue that bonds us together. The other reason it’s important to learn how to use herbs and natural remedies is because I don’t want to have to say “Oh my God, she’s got a fever. I’m going to go rush out to Web MD or run off to somewhere and get some chemicals for her in order to get her fever down.” I don’t want to go down that path. I want to go down the path where we’re really working together to heal, and where she knows and trusts me as the one who loves her and cares for her and trusts that I’ve got her health and her best interests in mind. So that emotional, loving, bonding time is -for me- the huge value in this. If you’re new to using natural home remedies, start small. Give it a try and eventually you’ll gain confidence. The reason I can treat a venomous snake bite at home is because I’ve been practicing and building up my confidence and abilities for years. Start small with little things and learn as things come up. Marjory: In my experience you can treat about 90% of things at home. But there are situations that do call for modern medicine. You’ve got to be really clear and honest with yourself about when you’re in over your head. But for the vast majority of common stuff, there are simple home remedies that can be used in place of modern medicine. Melissa: Many common injuries and illnesses are easily treated with herbal remedies. 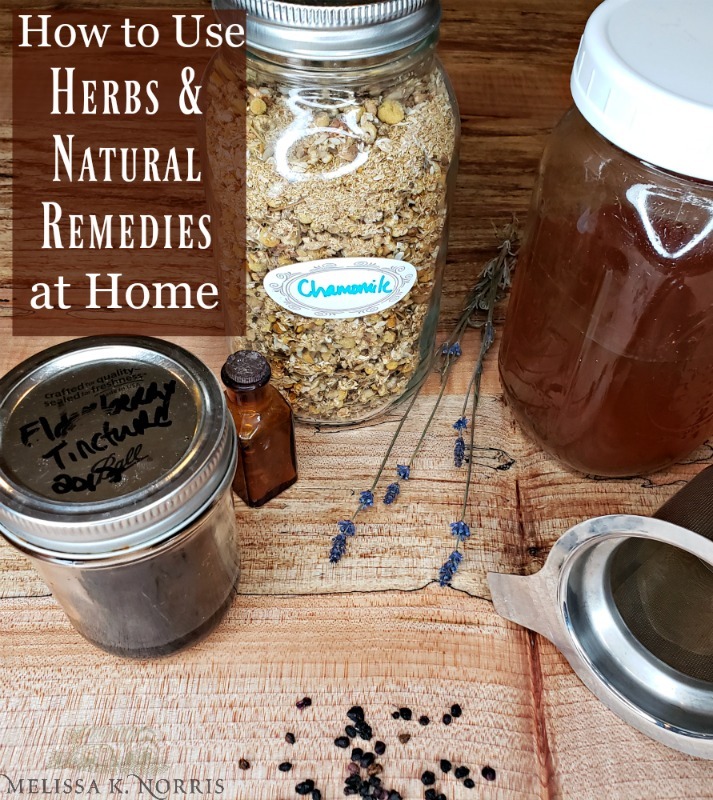 While there’s certainly a time and place for modern medicine, I tend to like to start with natural remedies first, especially with some of your more common household things. Urine for rashes if you’re really brave! Do nothing. Just observe it and let it heal on its own. Marjory: I live in Texas. We get stung pretty much every day and we heat with wood, cook with gas, we’re doing stuff, there’s fire. We get burned regularly, so we keep an aloe vera plant in our window sill to help treat burns. One of my go-to’s is prickly pear cactus because it grows all around here, so you just put a little poultice on there and it’s so soothing. Pretty much the same for stings and rashes. Believe it or not, for rashes, one of the best things is your own urine! But to be honest with you, most of the time when I get bites, stings or rashes, I just look at it, note it and watch it and I don’t do anything about it really because I just don’t have time to be treating every little burn and ant bite that I get. Sometimes the natural remedy is just to leave it and let it heal on its own. Often times, with a small child, simply the act of putting something on it like a bandaid is all it takes. It’s more about the process. Marjory: When it comes to wounds and lacerations, the size of the wound usually indicates whether we’re going to go somewhere and have it professionally stitched up. But knowing how to clean and take care of small cuts and wounds at home can definitely save you a trip to the doctor or hospital. So for minor wounds and lacerations, (ones that don’t need suturing), I tend to use a poultice. My favorite go-to, again, is prickly pear. But you can make it out of plantain or all kinds of stuff. Just clean the wound regularly and keep bandaging it and keeping it covered with the plant material. Another really good natural remedy for wounds and lacerations is raw honey. But there are lots of different medicines that can be used to treat the same things. So, for example, prickly pear is going to be hard for you to find if you’re in Minnesota. But I’m absolutely certain there’s stuff in Minnesota that can be used to treat the same things I use prickly pear to treat here in Texas. There are like, a zillion different remedies for coughs and colds, so we’ll just talk about a couple of them now just to wet everybody’s appetite. The first thing I want to tell you about is elderberry syrup. I don’t do a lot of syrups because I just don’t want that much sugar in my diet, but man, I can get elderberry syrup down everybody here, even the most reluctant family members. Elderberry syrup is delicious and it’s a super immune-booster and it’s really, really effective against coughs and colds. Melissa: Elderberry is amazing. There’s a ton of scientific studies that show its effectiveness on the immune system with influenza. I’m really excited because last spring I planted two elderberry plants on our homestead, so I can’t wait to get my first harvest! Marjory: Another one is crushed garlic. You take a clove of garlic, peel it, use the flat side of your blade to smash it, and then chop it up real fine so it gets oxidized which helps it release more of the healing compounds. Garlic is a powerhouse of antibiotics when it comes to home remedies. Often it’s best to take with a little bit of butter or some kind of fat so that you’re not eating it on an empty stomach. Or some people will put it in honey just to get it down a kid’s throat. I actually take it proactively like before the holidays or if I know I’m going into a stressful situation. I’ll take three cloves a day. Melissa: Another thing I love using during cough and cold season is hot pepper like cayenne or jalapeño, especially if you’ve got nasal and sinus congestion. You can put it in apple cider vinegar and make an infused cider and my goodness, does that clear your sinuses out! And honey is excellent too for soothing throats and helping with coughs. Do nothing. Allow the fever to run its course. If fever is really high or spikes and drops rapidly, seek medical help. I think one of the most astonishing things that people learn is that you really shouldn’t do anything to treat a fever. Your body is naturally heating up to kill bad things off. Just keep them as warm as you can and use a really a cold rag with some ice to wipe their forehead. As long as that temperature is not getting too high, like over 104, because when you start getting above that you’re essentially cooking yourself. Or if you see a fever come on really rapidly and then drop, and then come back really rapidly and drop, that may also be a sign that you’ve got some a major infection of some kind so those are the ones that are really like my alarm bells. But otherwise, for “run of the mill” fevers, you really don’t have to do much. Sometimes if I’m starting to get a little bit rundown, I will actually go sit in our hot tub for way longer than you should, like 20 or 30 minutes and intentionally create a fever in my body. That will usually stop whatever’s happening because that’s what the purpose of a fever is. So even a hot tub can be used as a medicinal tool. Melissa: It’s interesting that you say that because, in our modern society we are conditioned to think that we should never feel inconvenienced or feel pain or anything like that. So if you’ve not been feeling unwell for a day or two you think you need to go to the doctor and they’re going to give you a pill to make you feel better. But that’s really a fallacy and this is why we’ve run into so many problems with modern medicine and overuse of antibiotics and all kinds of pharmaceuticals. I think there’s something to be said for just letting your body heal itself. Give it aids to help it heal of course. And monitor the situation closely so that you know when to seek help. But allow your body to get through whatever it is and to fight it off naturally. When it comes to something like lice (and let’s be honest, kids get lice), you think you need to use those store-bought chemicals to get rid of them and put that on your child’s head, but what really gets rid of lice is just washing their hair every day and using your regular shampoo with a couple drops of peppermint essential oil in there. Then use a lice comb and just comb them every day for at least two weeks solid because I think the lice have like a 10 day cycle or something, and you want to go past that a bit. Lice are yucky and nobody wants lice, but it was also just a wonderful time spent bonding with my children as I sat and washed and brushed their hair. People are not going to like the solution to this, but bitters are really, really good for the digestive system. In fact, bitters are really, really important in herbal medicine in general. Now, if somebody has already got a stomach ache and we’ve done the bitters, peppermint tea is also really, really soothing for a stomach ache. Those are just two simple little remedies. But there are dozens of herbs and natural remedies you can use to treat most things. You just need to find what works for you. Melissa: That’s so true. Often times I’ve heard things like “well, the herbs didn’t really work for me.” Well, they tried like one herb once and think that, that didn’t work like taking a pill. But with herbs and natural remedies you can’t just take an herbal capsule or a cup of tea and you’re healed. It’s more of a process. 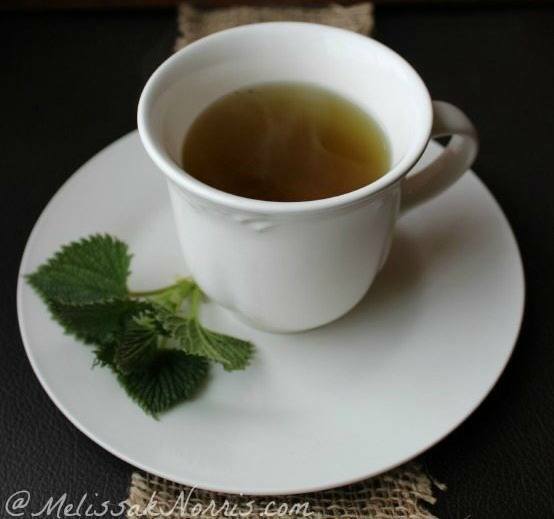 Marjory: In the seven stages of becoming a home medicine maker or a medicine woman or medicine man, one of the stages is where you start using herbs proactively, like using tonics. For example, you use bitters before a meal to prevent indigestion and stomach aches instead of treat them after the fact. You really start to incorporate herbal medicine as a lifestyle. One of my favourite ways to treat anxiety and insomnia is so simple: Just drink a little chamomile tea in the evening. A nice big cup of chamomile tea with maybe a dash of honey, or a little bit of licorice or something like that just helps to calm and soothe. It’s also really supportive of the liver. Another thing that I find tremendously useful for anxiety is CBD oil. CBD is so useful to help ease stress and help the nervous system that I grew a bunch of those plants on my property in Colorado where it’s legal. Now I’m learning how to make my own oils and make my own medicine from it. But if people have an issue with that whole hemp, cannabis this thing, there’s lots of other traditional medicines that can help. My go-to every evening is a big hot steaming mug of chamomile tea, and it really does help soothe and calm. Melissa: It does, and chamomile is so easy to grow at home. I grow it right outside my kitchen. I’ve got herb gardens all over the property, but I have my little kitchen ones that are right outside the door so I can easily just go and grab them when I need them during the growing season. Marjory, do you want to give us just a little bit of a brief overview of what’s in that four part series? Video #2: We go into the eight preparations that every home medicine maker needs to know how to make and use, so using fresh herbs, peels, tinctures, salves, lotion, syrups, etc. Video #3: We go into the seven stages of becoming a home medicine maker. Video #4: We open up my own medicine kit and give you a peek into what I carry around. I have one of those old tiny doctor’s bags, believe it or not. It’s the perfect size bag for all the medicines you need as a home medicine maker, and I show you my bag and go through everything and show it all to you. Again, if you want to check out Marjory’s FREE four-part video series, click the link below to get signed up. And don’t forget to let me know in the blog post comments or in the reviews of the podcast what you would like to have Marjory come on and share with us next!